Bystrytsia Nadvirnianska River [Bystrycja Nadvirnjans'ka]. (Map: Bystrytsia Nadvirnianska River). A tributary of the Bystrytsia River. 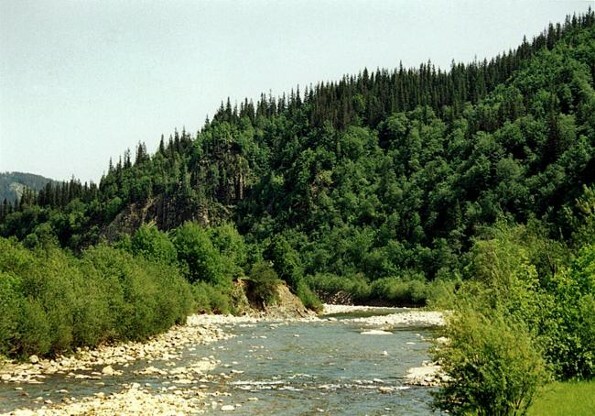 Its length is 94 km; its basin area, 1,580 sq m. In its upper and middle course, in the Gorgany Mountains, it is a typical mountain river; in its lower course (in Subcarpathia) it is a river of the plains.